The January Printable Sight word activities is packed with Kindergarten sight words and sight words flash cards perfect for Winter! Included are 3 separate scavenger hunts and a checklist! 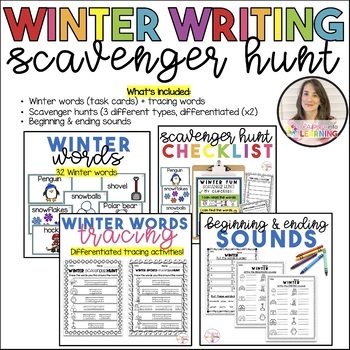 These Sight word worksheets are a fun and different way for students to learn all about winter while also developing their Winter Word vocabulary.